In Mexico’s NGO Citizen Council for Public Security & Criminal Justice yearly list of the fifty most violent cities around the world, sixteen Brazilian cities feature among the Top 50 for 2013. Six of them, located in Northeast Brazil, rank among the top fifteen. Fortaleza, capital of Ceará, ranked seventh worldwide – the city placed thirteenth in 2012 – and second in Brazil, after Maceió (Alagoas). With the expansion of drug trafficking, Fortaleza has become increasingly more violent over the years since I lived there. Nowadays, my best friend in Fortaleza suffers from panic attacks whenever she has to walk the streets. Another friend reports that home invaders have become more brazen. 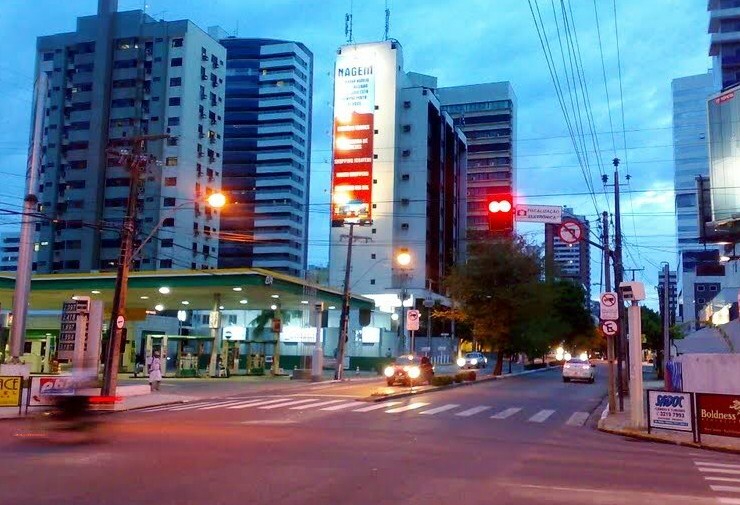 Data released for Fortaleza by the Secretariat of Public Security & Social Defense of Ceará (SSPDS-CE) reveal that during the period from January 1 to March 19, 2014, there were 766 homicides. These included 433 deaths from gunshot wounds, 14 knifed to death, and 3 bludgeoned. The cause of death of the remaining 316 corpses is unknown. 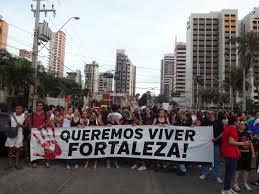 That’s an average of 9.8 persons murdered every day in Fortaleza. When attending the games in Fortaleza during the upcoming 2014 FIFA World Cup Brazil, soccer fans should be on the alert. On a quiet Sunday afternoon in an upscale neighborhood in the city, my two sons and I set out on a fifteen-minute walk to the shopping mall on Avenida Dom Luís. When we crossed the intersection with Avenida Senador Virgílio Távora, we observed a street gang, two blocks away, approaching on the other side of Avenida Dom Luís. “The convenience store,” my older son said. He and his brother sprinted across the street ahead of oncoming traffic towards the gas station. Impeded by the traffic, I waited on the median divider island. The gang was now half-a-block away. A voice shouted from behind me. Looking around, I saw a security guard standing outside an office building. He beckoned to me. “Stand behind me,” the security guard said when I joined him. He fingered the gun at his hip. I remained calm. My sons had reached safety. I prepared myself for the inevitable. As the gang came closer, I estimated that they were about fifty of them: male and female, ranging in ages from eight to eighteen. Two police cars arrived on the scene. Loud confusion ensued. The policemen ordered the children and adolescents to prostrate on the sidewalk with their hands on their heads. With the gang under police control, my sons joined me. “Lots of wallets and watches are in the drain,” they reported. “Getting rid of evidence,” the guard said. After thanking the guard for coming to my rescue, my sons and I returned home. There could be more trouble up ahead. Fortaleza, like most of Brazil’s major cities, is a world of contrasts between the rich and destitute. Extreme inequality breeds crime and violence. The corpses tell the tale. 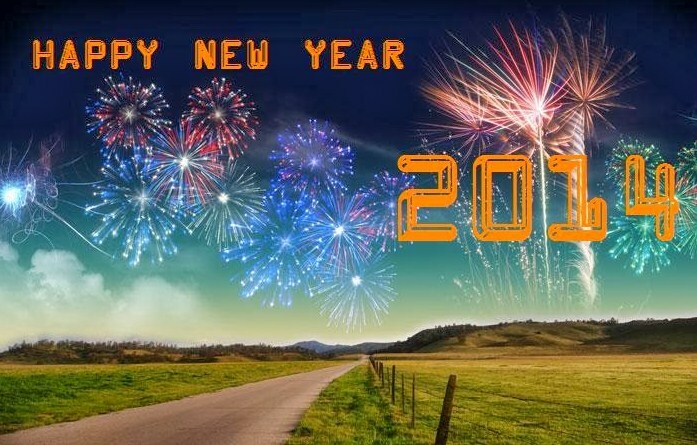 As Year 2013 comes to an end, I would like to thank all of you who have signed up to follow my blog, other visitors who read my posts, and those who take the time to share their thoughts and experiences. Special thanks go to Cyril Bryan of the Guyanese Online Blog for sharing my posts with his readers. 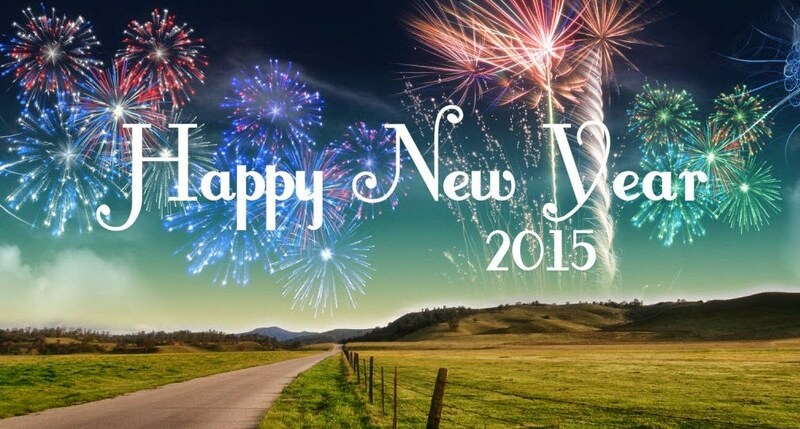 My wish for each one of you in the coming year is that you realize at least one of your goals for 2014. Our plans don’t always work out as envisaged. While I achieved my goals of completing the revision process of my first novel and having it edited by a professional, I failed to find a literary agent to assist with publication. This goal remains on my list for the coming year. I began working on my second novel, exploring betrayal, set in the northwest region of Guyana during the period 1979 to 1980. My goal in 2014 is to complete the research required to bring the characters and period to life. Creating characters that readers will love and hate is both challenging and lots of fun. The real world is not the same as the world of fiction. In real life, I cannot shape people and events to obtain a desired outcome. I have no control over external forces. I can only control my response. Injustice and inequality in America are real. Homelessness and hunger in America are real. How does one respond to such chronic disorders? Overcome or succumb? Fight or flight? Hope or despair? Year 2013 marks the end of the vestiges of hope I harbored that our dysfunctional government would free itself from the corporate stranglehold. Since corporations are not people, they are incapable of considering the consequences of their decisions and the needs of the people who sustain them. Programmed only for generating profits, they gobble up Earth’s resources and spew destruction and suffering. The Arctic ice continues to melt. Sea levels continue to rise. Oceans are warmer and more acidic. Storms and forest fires are fiercer and more destructive. The effects of climate change are already a reality for millions of people in the United States and worldwide. Yet, the corporate culprits spread misinformation and denial about the greatest crisis facing our times. During this year, I struggled to understand how the highly-educated elite could jeopardize the survival of the human species on Planet Earth. Are some of them psychopaths whose wealth and power protect them from prosecution under the law? Does the world they live and move in shield them from the ugly reality? Is their greed an addiction? Whatever the reasons driving the behavior of the elite among us, one thing is certain. They get away with what they do because we-the-people let them. If we continue to let them lead our species to the brink of self-destruction, we have only ourselves to blame for our silence and inaction. Numbers are an integral part of our lives. 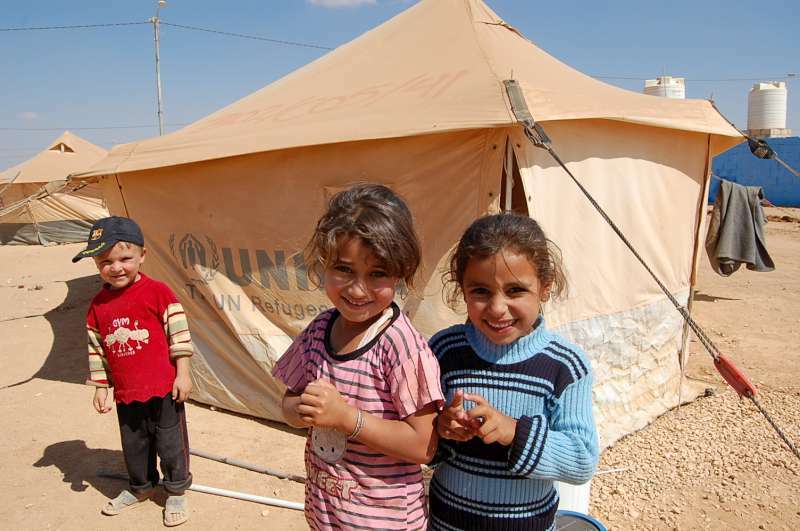 From an early age, they define who we are as individuals: age, height, and weight. We occupy space and status in the world, evident by our residential street number and zip code. The older we get the more numbers we accumulate: social security, bank accounts, credit cards, driver’s license, and passport. These numbers define our personhood and achievements. Then there is our credit score. 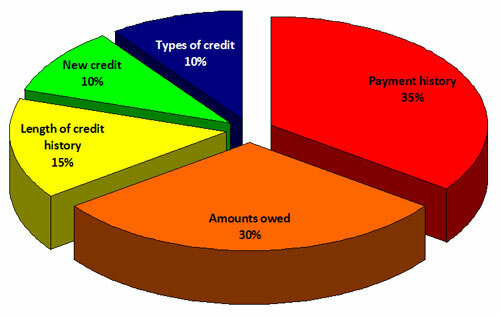 Based mainly on our payment and credit use history – see above chart – the credit score indicates our risk as borrowers. On a scale of 300 to 850, the higher our score, preferably in the 700s, the more attractive we become to money lenders. There’s no hassle to get a loan to buy our dream car, that house in the suburbs perfect for our kids, or enroll for a Masters in Business Administration. The advantages don’t end there. We’re rewarded with lower interest rates on our auto and student loans and mortgage. In other words, the higher our credit score, the less we pay over our lifetime for goods and services. My sons and I first learned about the credit score on our first bank visit to open a checking account and apply for an American credit card. At that time, I had an international credit card account issued and payable in Brazil. My excellent payment and credit history had no value in the United States. My credit score was zero. Five years later, I began receiving credit card offers in the mail. I accepted an offer from Capital One with a $250.00 credit limit. Two years later, when my credit score hit the 600s, pre-screened credit card offers from major American banks flooded my mailbox. I have observed that increased debt raised our credit scores. Additional credit cards with higher credit limits also upped our scores. The more we spend and borrow, the greater our value as individuals. The American credit score system perpetuates inequality. Low-income, hardworking, honest people with limited access to credit are defined by low credit scores. The owners of Walmart have amassed a fortune providing them with low-cost goods produced by low-income workers across the globe. High-income middle class workers, who pay their debts, are defined by their top value credit scores. Our financial institutions have become power brokers providing them with credit and other financial products. The propagators of the credit score system are not defined by credit scores. Their wealth allows them to pay cash for high value goods and services. Immune to the control and demands of the consumer numbers system, they created massive, criminal debt, bringing down the world economy in 2008. Their impunity allowed them to pass on their debt to you and me. I am a mere consumer number. Do you know your number?